Sean Price, is an independent artist currently residing in the Milwaukee Area. Having been a full time tattoo artist for 8 years, he made the decision to switch his focus in becoming fully independent as an artist. Being inspired by bold line work, strong shapes, and narrative driven subject matter, he strives to marry all those aspects in his work. 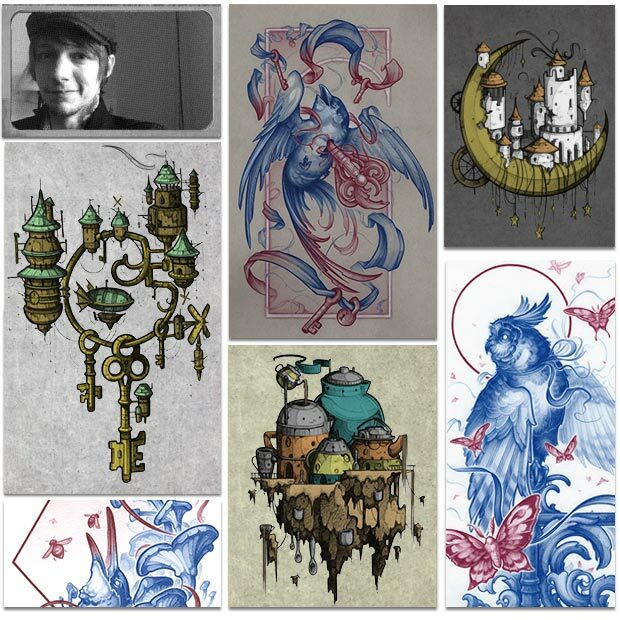 Pulling influence from tattoo designs, nature, storybook, and even animated movies, Sean hopes to inspire other artist alike with his work, in creating their own worlds as well!